As soon as I saw this great company come on the list for Crew Reviews, I was anxiously waiting for it open for requests. I was so excited to be chosen for this one. 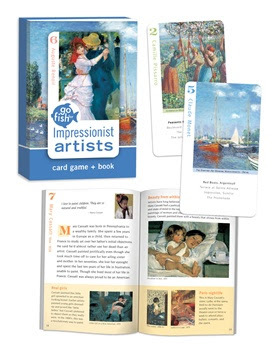 There are so many great products on this site, but we chose to review Go Fish for Impressionist Artists Cards. These beautiful cards have been a great addition to our daily routine, as we have added more and more art appreciation into our homeschool curriculum, and this beautiful card set from Birdcage Press fit in beautifully. This set is also a Parents' Choice Gold Medal Winner, and we can definitely see why. Each card shows a work of art and gives its name and the name of the artist. 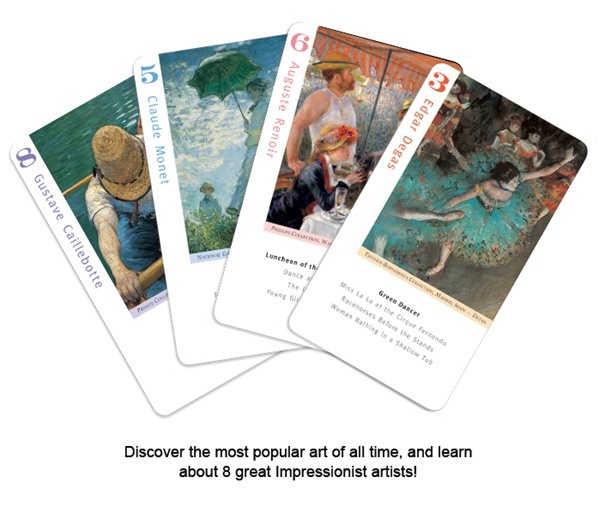 It also lists the other three works of art that complete the set of cards for that artist. 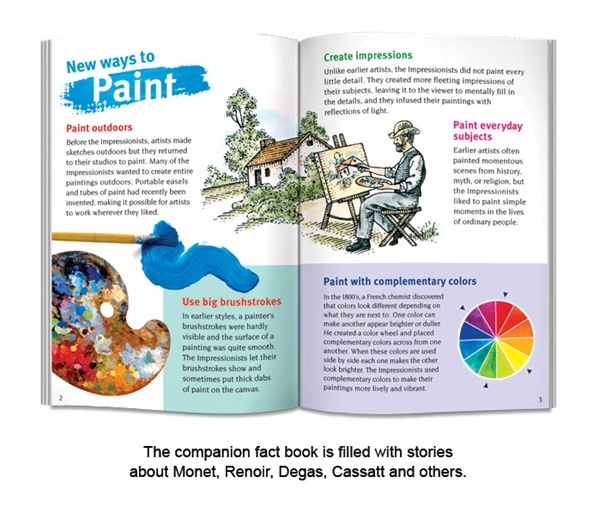 In addition to cards for each artist, there is a set of four cards about Impressionist art. Our favorite game of the three is by far Masterpiece Memory. It is fun even for this middle-aged mama, and we had fun trying to beat each other. Let me just say, a 9-year-old’s mind is much, much sharper than mine. Abbey has had no idea how much she is learning about each artist, but as we walked through the halls of our local community college last week, she squealed with delight as she recognized a Mary Cassatt painting without even looking at the plate beneath the framed work of art! The cards come in a beautiful little box for storage and include a 28-page fact book by Wenda O’Reilly, Ph. 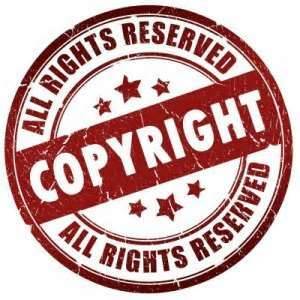 D., that we have used to lead us on our research for each artist and for this genre of art. Birdcage Press offers a ton of other educational games and resources for history, wildlife and nature, art and air & space. I encourage you to browse this beautiful site and I dare you to try not to order something! Some of my fellow crew mates reviewed other items from Birdcage Press, so click the blinking banner below to read more!